If you do a quick google search for posts about being an auxiliar, you will find plenty about the government programme (good and bad), but not much about BEDA. Having done both the government programme (in 2010/11) and the BEDA programme (currently), I feel like there are things that they don’t tell you before becoming a BEDA auxiliar. Don’t assume that it’s exactly the same as the government programme, because it isn’t. 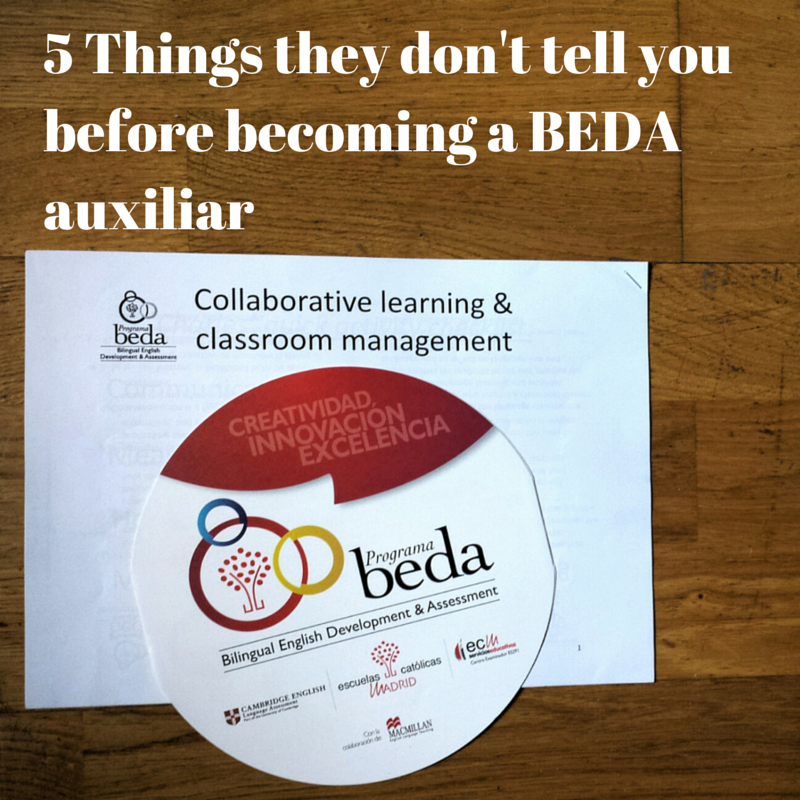 Here are the 5 things that startled me the most when I became an auxiliar with BEDA. EDIT: I have based this post on the experience of my friends and myself. This is not the case for everyone. There are many who have had the opposite experience. #1 You will get thrown in the deep end. Well this can apply to the government programme too, but don’t assume that they will ease you into teaching. As I mentioned in my earlier post about the ‘4 ways that Spanish schools fail at using auxiliares’ I was thrown right in on my first day. The teacher turned around and asked me what I had planned. I hadn’t planned anything because no one told me which classes I would be having and what level they were. The problem was that my coordinator is a primary teacher and while I don’t have to plan my classes with the primary school I have to plan my lessons in the high school. Clearly there isn’t any coordination between them and my coordinator really should be a high school teacher since I spend most of my hours working with them. #2 Your role in the classroom won’t be explained. This kind of ties in with point number one. They will throw you in and never explain to you what you are supposed to do in the classroom. That just makes the lesson planning harder because they don’t explain what they want from you. #3 The lack of technology. When I was in the government programme back in 2010 my schools had everything. In every classroom (well at least the English classrooms) they had an interactive blackboard. They also had a room with English resources so we never had to look anything up when we got home. There was also no limit to printing and photocopying. However in a BEDA school it can be very different depending on your school’s resources. Most of the auxiliares that I know complain about the lack of technology in their schools. This is obviously not the case for all the schools, but it seems that the many don’t invest much money in new technology. Some of my friends schools don’t even have a computer in the classroom for the teacher to use, which once again makes the lesson planning more difficult. My school is better than some other schools. There is a computer in each classroom, some even have a projector. However, the projectors aren’t in every classroom, therefore I have to reconsider my lessons that involve the computer. #4 You will teach every age group. On your application form they ask you what age group you want to work with, but they neglect to tell you that many schools only have one assistant and that BEDA schools are normally made up of infantil, primaria, eso and bachillerato. This means that with that one assistant the school tries to use them in the various age groups, which quite frankly is not good and I wrote about it being a bad idea in my evaluation form. I mean there is a reason teachers only teach one age group, because you need to use different techniques with the different age groups. #5 It can be very lonely. Like I said above it is possible that you will be the only assistant in your school or if there is another assistant you might not see them. My friends who have another assistant in their school hardly ever see them because the timetables (schedules) for the different sections of the school are different. 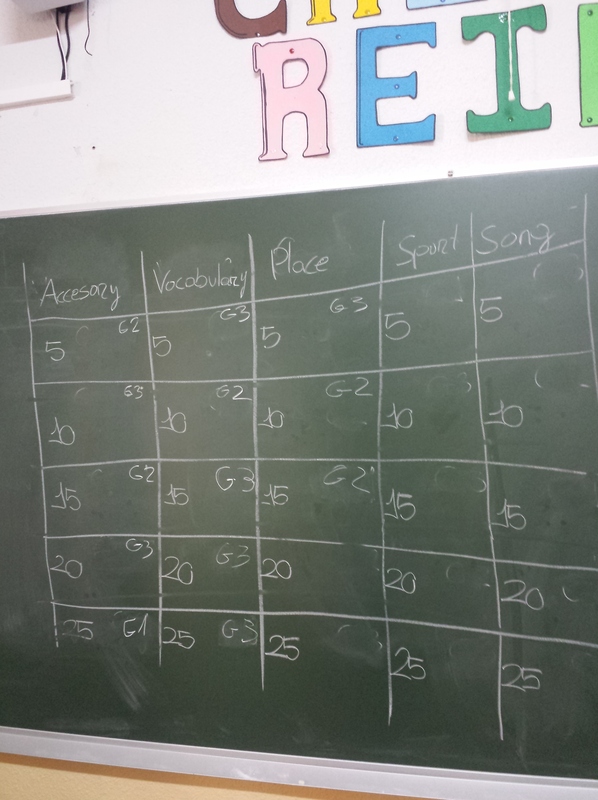 For example in my school eso start at 8 am and finish at 2pm, whereas primaria starts at 9am and finishes at 5pm. It doesn’t really matter if there is another assistant at your school because it might be just as lonely. I find that the teachers who smoke are never in the staff room for break and that infantil, primaria and secondary teachers don’t mix much. They are all very cliquey and they never really integrate me into their conversations, so I basically only speak to children all day who don’t even understand everything I say. While I will of course have conversations with some teachers I have never really felt part of school. I hope this can prepare all of you future BEDA auxiliares for what it could be like, although this is not the case for everyone, but it’s best to prepare for the worst, right? Do you have any questions about being an auxiliar? Comment below. Why don’t you check my other posts about BEDA. I (and the vast majority of my friends in the program) have actually had the complete opposite experience for 3-5, lol. Everyone’s schools had/have smartboards and projectors, multiple auxiliares covering specific age groups, and at least one teacher who chats with everyone. I realize this isn’t true for 100% of all schools, but I also don’t know if it’s fair to say the majority experience the opposite because that hasn’t been the case for the people I’ve met. It’s funny it seems that my friends and I have had the opposite experience. There seems to be varying experiences in the programme. I am going to edit my post to say that it’s not the case for everyone.